This hunt takes place in the rolling pinion juniper hills of Lindrith, New Mexico. 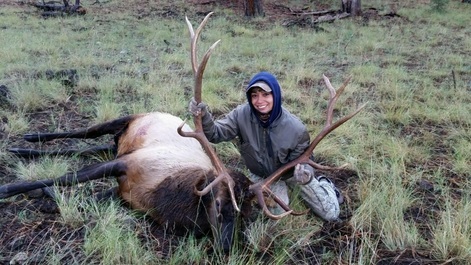 This is one of the best Private land elk hunts New Mexico has to offer with high success rates. Select any five consecutive days from November 10 through December 31.This is a great time of year to catch trophy bulls running together. Most cases we find bulls in groups of 2-5 . No draw is required for this hunt and can be purchased from the game and fish using our landowner authorization numbers. We like to set these hunts up in pairs of two so you have the whole ranch to yourselves with minimal hunting pressure. This hunt is one of our least physically demanding hunts we offer. If you are looking for a quality private land elk hunt give us a call to reserve your spot. 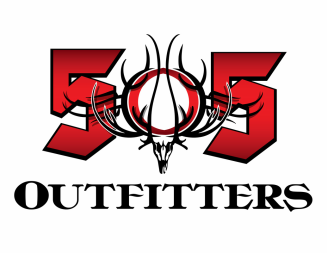 Fully Outfitted Service (Rifle/Muzzleloader/Archery) Includes five consecutive days with a knowledgeable guide, transportation while in the field, top notch lodging, home cooked meals and pack out of game within this time frame.